Per the Cornelia Marie website, anything sent to the address below, will be hand-delivered to Jake, Josh and Phil’s dad by a close family friend. Discovery Channel and exec producer Thom Beers are discussing plans to produce a tribute to “Deadliest Catch” star Capt. Phil Harris. No deal is firm yet, said Beers, who caught a flight Wednesday to see Harris’ family. But a special is likely, he added and Discovery confirmed. Tune into Discovery Channel for the Best of Season Four, which includes some of Captain Phil’s greatest moments on The Deadliest Catch from noon to 2:00 PM ET/PT. For the rest of the marathon (2:00 PM to 3:00 AM) catch the second half of season five, featuring the 2009 Opilio season. During the Opilio season Phil returned to Dutch Harbor after some time away due to a health scare. 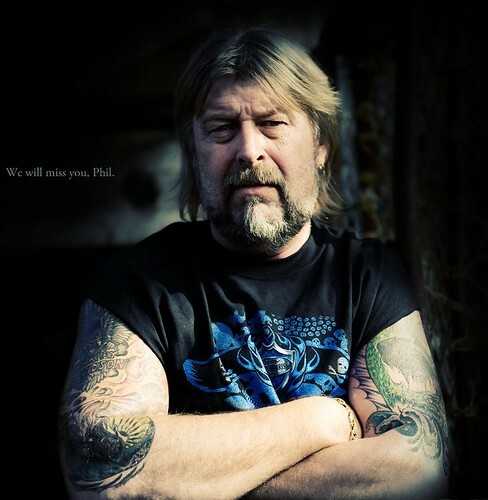 Discovery Channel is paying tribute to the late Captain Phil Harris with a special Deadliest Catch marathon on Saturday, February 20, 2010 from 12:00 PM (noon) ET/PT to 3:00 AM ET/PT. 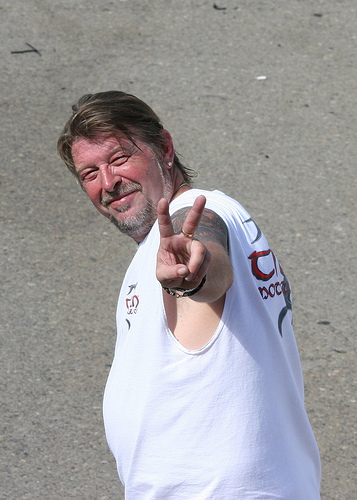 The Deadliest Catch episodes will feature fishing boat Captain Phil Harris and the crew of the Cornelia Marie. This entry was posted in Deadliest Catch 4, Deadliest Catch 5, Phil Harris, television and tagged Cornelia Marie, Crab Fishing, Deadliest Catch, Discovery, Fishermen, marathons, Opilio, Phil Harris, television, Thom Beers. Bookmark the permalink. German television just announced the passing of Capt. Phil Harris before the start of today’s DC episode. I can’t believe it! My thoughts are with his family and his crew. You have gone where great fishermen go. R I P phil will truly miss you. mary ling . australia. Phil very much reminded me of a dear friend of mine, Bill. Bill was my Dad’s friend and when my dad died,in 1971, Bill stepped in and helped me through the tough time I was having. He became a second father to me and we were hunting buddies and close friends until his death in 1998. Bill was a strong man with a real sense of fairness all of his life. He was viewed by most as a real hard guy but we also noticed a soft streak in him that showed itself when he thought someone was not being treated right and needed defending or just some help to get along with life. Phil showed his true colors many times when someone’s life was at risk at sea. He showed himself to be a real friend in need and a very wise man regarding what is important in life. He also showed his love for you guys in close moments on board the boat. Josh and Jake: I shall never forget your Dad’s time on the series and will miss him for a long time. I know this is a very difficult time for you guys. Just know that the pain will eventually lessen but the memories you share will last forever. I know, I still remembe my friend, and it has been twelve years. Your Dad truly loved you guys and your love for him was very evident in both of you. May God bless and keep you both safe and happy in his arms. Your Pop is with Him now and will be with you always in your heart. By the way Josh, I am certain you are very glad you listened to Freddie and went home to your Dad for the last time….you can be very proud of yourself, I know Phil was and is proud of both you and Jake. Watching the clip of the boys talking with the dr. reminded of what happen with my mom she had a heart attack a year ago. Then rectently her dr thought that she had blood cots in her legs.